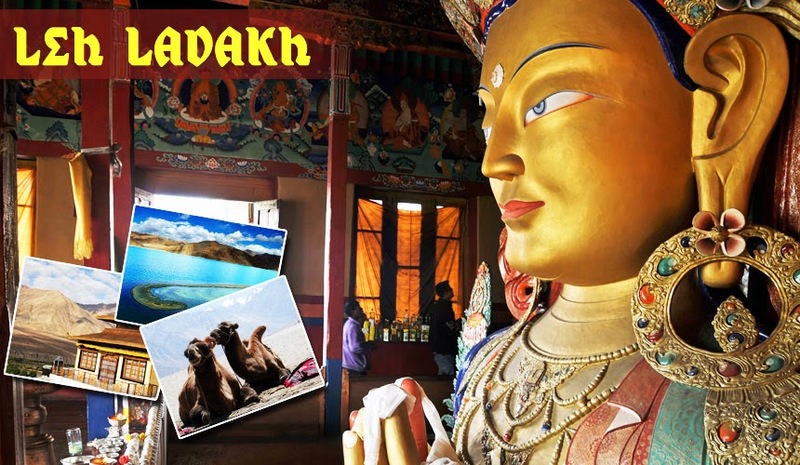 When one seeks for a tranquil break in India, mesmerizing Ladakh can never fail to impress you to the core. Often called as the ‘land of high passes’, this territory is a must visit destination for those who are looking for a holiday package comprising of laid-back experience and spine tingling adventures, all-together. Settled in-between the Great Himalayas and Karakoram Mountain range, Ladakh is dotted with numerous monasteries. With picturesque landscapes and dropping temperatures, it is a perfect land to try out some adventure filled activities, such as- Trekking, rock climbing, hiking, mountaineering, white water rafting, jeep safari, cycling, wildlife safari, camel safari, and lots more. People, who love adventure, usually choose to descend to Markha Valley, Zanskar Valley and Indus Valley.Leh Ladakh tours are the most searched for tours over the web these days, due to the unlike experience that this destination offers to its visitant during their stay hither. Lakes of Ladakh are very famous coz of its scenic location, and thus are chosen for many outdoor location shoots of Bollywood films. Pangong Lake, Tsomoriri Lake, and Tsokar Lake here spellbind many visitors. In short this tour is a perfect idea of vacation when it comes to taking a break from hustle bustle of city life.